This is the 1st. Homekit that I made few years back. It still holding fine, lack of care doesn't stop it from operating. This set is at a relative place in the same neighbourhood. It is here for about 2 years plus and I can't recall that the water changed. Tilapia is a tough fish and its survive without much caring. BTW that water jetting out from the feed pipe is from my "Saddle Valve" design. Good size to make breeder and they are in good health. This set use pebbles not LECA, the rack was made from thick hollow square tube and it is a good example that this set can last a long time. 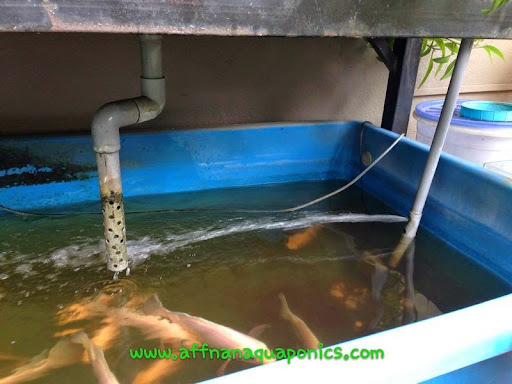 what is the volume of the water tank for breeding the tilapia? 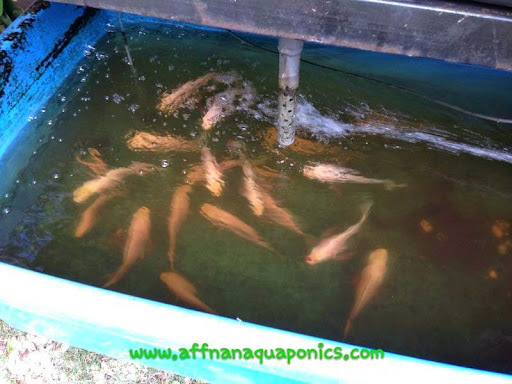 what do you feed tilapia? it look healthy. 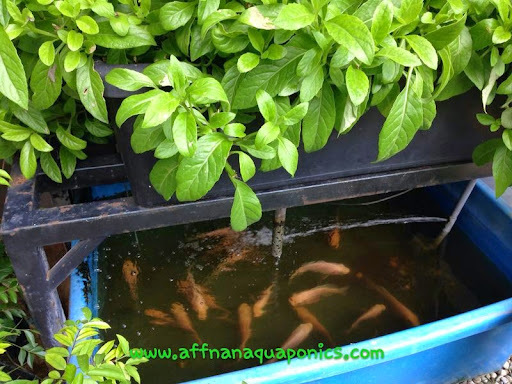 I have feed earthworm to tilapia , is it ok for human consumption when tilapia grow to 500g? BTW, I have e mail you some queries. do you received it ? This set is 100 gallon for the fish tank it is good for breeding Tilapia, I manage to get many fry from this size tank. 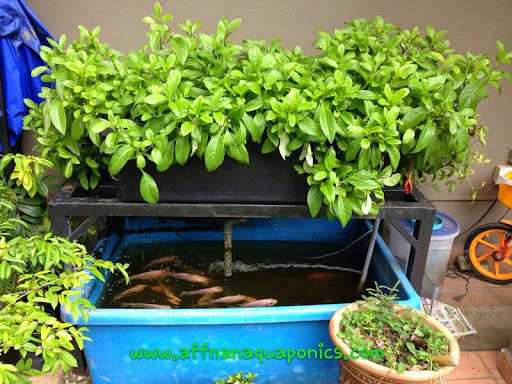 I use fish pellets, stale bread, rice, some greens from the aquaponics set for fish food. On Tilapia size, its all depend on which segment you are looking for, the Malay market is normally about that size, and if for Chinese market it will be bigger due to the type of cooking. Malay use smaller fish since it is one fish for one person, and Chinese normally have bigger fish because One fish for group of people. On your query, is it on the siphon. If that, I had replied.